The shortfall isn't a problem created solely by wasteful spending, though it's certainly a big part of the issue, as the trust fund has doled out billions for lawmakers' pet highway and mass transit projects. A couple of other drivers that are exacerbating the problem, however, are the fact that Americans are driving less overall and the rise of fuel-efficient vehicles. Because raising the gas tax is politically unpopular, Congress routinely transfers money from the general fund to cover annual shortfalls. Sens. Bob Corker (R-TN) and Chris Murphy (D-CT) have been the main figures behind the push to raise the gas tax. Last year, the lawmakers proposed a 12-cent gas tax hike, phased in over two years, also indexing it to the Consumer Price Index. The plan, according to The Hill, would've raised tax $164 billion over the next ten years. The proposal also called for "tax relief" through the renewing so-called "tax extenders" -- many of which are tax credits, and, therefore, considered to be spending in real terms -- or another unspecified plan. Corker and Murphy have rehashed the idea in the opening days of the 114th Congress, receiving a warm reception from other lawmakers, including Sens. John Thune (R-SD) and Jim Inhofe (R-OK), both chairman of powerful committees. To his credit, Speaker John Boehner (R-OH) is cool gas tax hike, though he left himself some wiggle room. But tax-hiking Senate Republicans can rest comfortably knowing that House Minority Leader Nancy Pelosi (D-CA) is totally on their side. The Washington Examiner's editorial board took a shot at Republicans considering the idea, noting that raising the gas tax wasn't part of the mandate that voters handed them in November. "To raise the federal gas tax now is to keep control in Washington," the weekly paper said, "the same town so many Republicans campaigned against and called dysfunctional in the election just past. It would send a terrible signal about the party's sincerity, and about its new majority." Though it receives the most attention in the media, the Corker-Murphy plan isn't the only one out there. In November 2013, Sen. Mike Lee (R-UT) and Tom Graves (R-GA) introduced the Transportation Empowerment Act, a measure, supported by FreedomWorks, that would significantly reduce the gas tax and cut out the bureaucratic federal middleman. 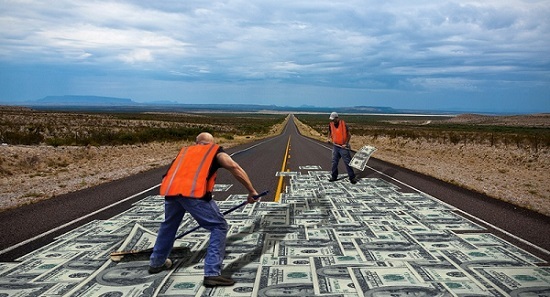 This measure would allow states and local governments -- which receive approximately 25 percent of their highway and mass transit project funding from the federal government, according to the Congressional Budget Office -- to prioritize projects based on their needs, without any strings attached. Though it hasn't yet been reintroduced in this week-old Congress, the Transportation Empowerment Act is exactly the sort of reform-minded approach around which Republicans should rally. A gas tax hike further perceptions that Republicans don't govern by the rhetoric on which they run, it's bad policy because it wouldn't address the fundamental problems with the Highway Trust Fund and reward the very bureaucracy and mismanagement that are a big part of the problem.